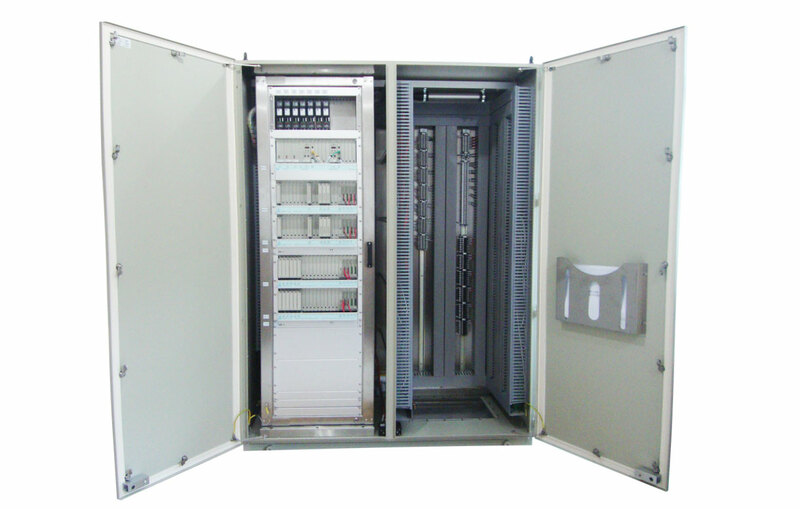 "One the worlds largest O&G operators and owners approached our Singapore partners to design & build a 19" rack system with swing out panel for easy maintenance, and which would contain PLC's, relays and many other components not normally associated with zone 2 inside an Ex e (Ex n) style cabinet enclosure. 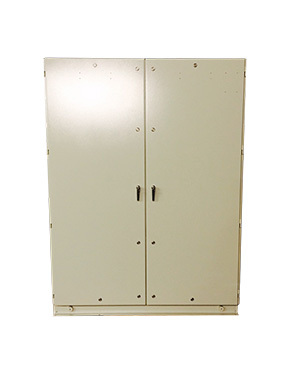 Please also see our iCE Cabinet enclosures for EX and Industrial use. 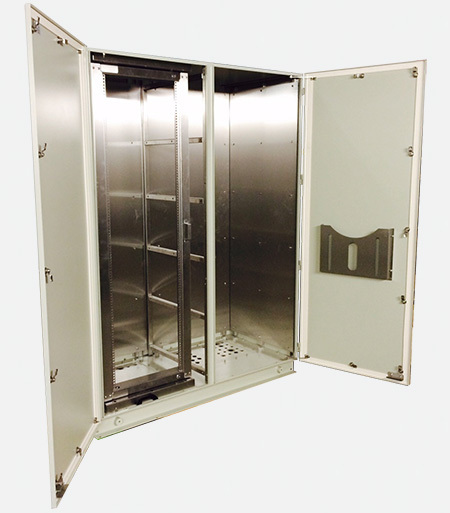 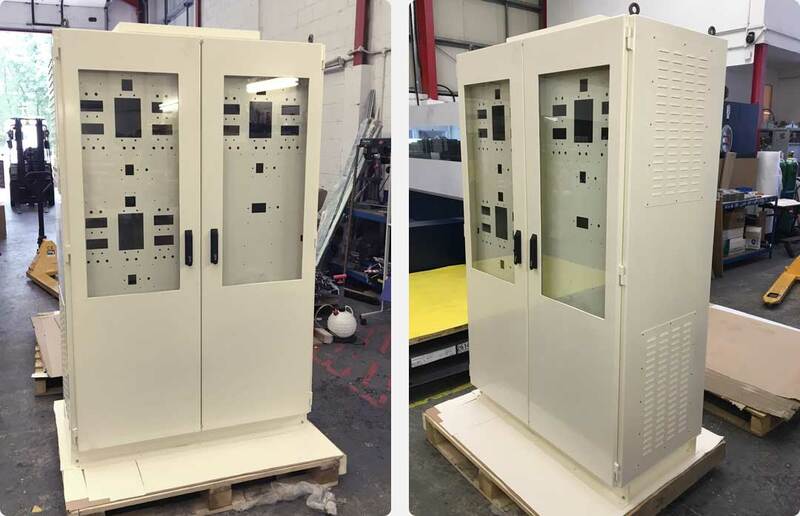 It was apparent from all involved in the initial design that no other ATEX manufacturer could produce this component certified Cabinet to include the swing out frame with a 19" rack system, so indEx and team stepped in as usual to ensure full compliance for the end user! 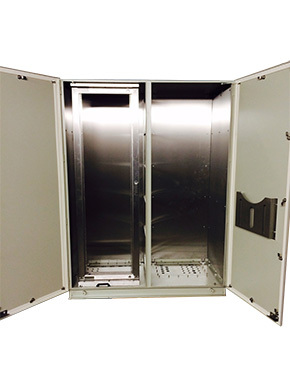 Needless to say the end product was very well received. 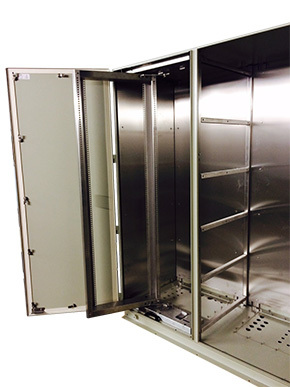 ← After client has added in all components, tested and certified!